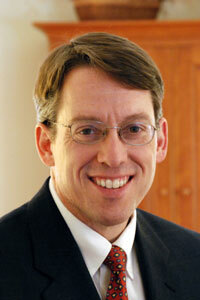 An insightful post from Mark Roberts: When Is The Kingdom of God Coming? Then? Now? Neither? Both? "How do I love my neighbor?" "What keeps me from loving my neighbor?" "How can I stop being so selfish?" Yesterday, I received an unexpected letter in the mail from Marshall Shelley, editor of Leadership Journal, informing me that the Evangelical Press Association had awarded my article, "Big Fish & Small Towns" Third Place in their Humorous Category for the year 2010. Ironically, when I first submitted it, they sent me a rejection letter -- as it wasn't the type of article they normally print. Then, I was surprised when they changed their minds and printed it. I'm planning to strike while the iron is hot and submit something else! So, be nice to me in the next couple of weeks -- or I'll be tempted to write something funny about you. Have you ever noticed that when a job is to be done, people fall into three different groups? The first group stands on the sideline and gawks. The second group holds lengthy discussions about how the task should be done. The third group just does it. I've heard it said that people are like bones. The "wish bones" sit around and hope things will get better. The "jaw bones" gripe about how rotten things are, and wonder why somebody doesn't do something. The "back bones" roll up their sleeves, and go to work. Why just sit there when you can make the situation better? I'm sure you've seen 'em all - at work, at school, at church, at home. Every organization has its share of "jaw bones", "wish bones", and "back bones". Which type are you? Ecclesiastes 9:10 says, "Whatever you find to do - do it with all your might!" In other words, be a "back bone!" Be a person who gets things done! All this requires is a bit of self- discipline and enthusiasm. If you determine to be a "doer" instead of just a "talker" or "wisher", you will be amazed at the things you accomplish. You may not feel like getting the job done - do it anyway! You may have plenty of good excuses - do it anyway! You may have tried once and failed - do it anyway! The task may seem almost impossible -- do it anyway! Refuse to give up! As you become a "doer", you will notice a dramatic increase in your energy and productivity. You will accomplish more at work and home. You will find yourself achieving more than you ever have before. A commitment to action means a commitment to life. You can't merely exist if you're going to be a "doer". To get the most out of life, you have to make something happen. Don't expect others to carry you or to open up your doors. You have to do something about it yourself. The poet, Grantland Rice, captured this thought with the following words of inspiration: "For when the One Great Scorer comes to write against your name, He writes - not that you won or lost - but how you played the game". "Don't cry because it's over. Smile because it happened. " "There is no such thing as a worthless conversation, provided you know what to listen for." "Forget the former things; do not dwell on the past. See I am doing a new thing! 1) Change is life and life is change. There's not an option. If you want to keep living, you have to go through change. It's a fact of life. When you stop changing, you stop growing! It is possible to change without growing, but all growth requires change! A big question people ask: "When will things get back to normal?" Answer: Never. This is normal. Let's deal with it. More good news -- God uses changes to change us! He develops us and grows us through the painful transitions. 2) Change is always resisted. Mark Twain said, "Nobody likes change except a baby with wet diapers." 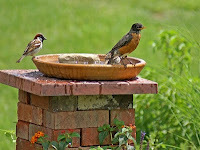 * 10% are early responders -- quick to jump in! * 70% go with the flow -- Agree when they get all of the facts. * 10% are late responders -- They agree kicking and screaming. * 5% shut down -- They kick and scream but never agree. If positive changes need to be made -- don't let the last 5% derail the mission. * Make Sure Your Purpose is Clear -- "Why Are We Doing This?" What's the bottom line? * Sell the purpose, not the change -- Show the benefits of making this adjustment. * People best agree to changes in an atmosphere of trust. * Don't short-circuit the process -- Good adequate time for transition. * Not everyone will agree. * Not everybody who disagrees is your enemy. *Expect trouble -- Every change has a price tag. * Remember, the best is yet to come! 5) What About Sacred Cows? Answer: They Make Gourmet Hamburgers! The way is long and lonely. -- Herald of His Coming (I found this beautiful poem in an old issue of The Wesleyan Methodist (Aug. 24, 1950), given to me by Lois Drown. Here's a great post by our children's pastor, Jeremy Mavis: More Is Caught than Taught. Made me stop and think. A while back, as we drove down Main Street, a Minnesota tourist recklessly pulled out in front of us, without even looking. "Stupid Idiot!" one of my kids shouted from the back seat. "Hey, now, you shouldn't talk like that," I scolded. "Why not?" came the reply, "It's what you said last time." Will The World End Next Saturday? 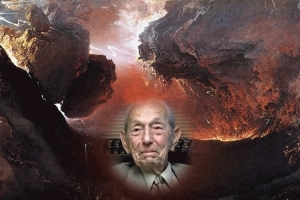 89 year old radio evangelist, Harold Camping, is declaring that Christ is going to return on May 21, 2011. I'm pretty sure It's NOT going to happen then. Sorry Harold. Jesus said, "No one knows about the day or hour" (Mark 13:32). Maybe God was planning on that day but then Harold messed it up! However -- none of us know which day will be our last. We should live every day in light of eternity. What would you differently this week, if you knew your last day was next Saturday? Dr. Timothy Tennent, president of Asbury Theological Seminary, delivered an outstanding series of messages on Neo Holiness at the Move Conference, September 2010. Recent tragedies in our community have set to thinking about the courage to endure. 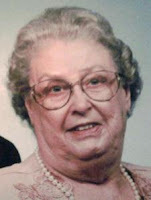 "When Dad died," the young lady remarked, "Mom allowed herself to die along with him. Her body was still alive, of course, but her spirit seemed to shrivel up and disappear." How sad it is when people give up on living before life is really over. God has appointed our birth date and our death date. It is up to us to make the very most of all the dates in between. Sometimes, going on is the hardest thing to do. It would be much easier to give up and quit trying. Cloistered in an emotional shell, life doesn't hurt so much -- but there's no joy in existing that way. John F. Kennedy said, "There is, in addition to a courage with which men die, a courage by which men must live." In difficult times, we must possess the courage to live. No matter what happens, we can make the best of it. Annie Dillard, in Pilgrim at Tinker Creek, remarked, "Our bodies are shot with mortality -- our legs are fear and our arms are time. That is why physical courage is so important. It fills, as it were, the holes." One person with courage can make a tremendous difference. During the war of 1812, Andrew Jackson observed, "One man with courage makes a majority." Or as Captain McNelly of the Texas Rangers noted, "Courage is a man who keeps on -- coming on! "Yes, you can slow a man like that, but you can't stop him. The man who keeps coming on, is either going to get there himself, or he is going to make it possible for others to get there." With courage, you're like a kite. The stronger the winds blow, the higher you go! 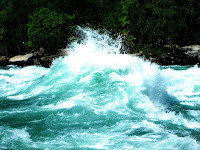 -- a Hopi saying that captures the importance of flowing with life's changes rather than resisting them. A recent study indicates that geeky teens are more likely to become successful adults. Maybe they're still hope for geeky middle aged adults? My son, Luke, crashed his bike on the way to work at Pizza Hut tonight. He dusted himself off, and started riding again -- but the crash bent something, making the rim rub. He finished the trip without any other difficulty. After work, he came out to discover that someone had stolen the bike. He reported the theft to the police, and Fred, a co-worker, brought him home. On his way back, Fred noticed a bicycle in the O'Reilley's parking lot, down the road from Pizza Hut. Sure enough, it was Luke's missing bike. Apparently, the thief abandoned it after discovering that the rim was rubbing. 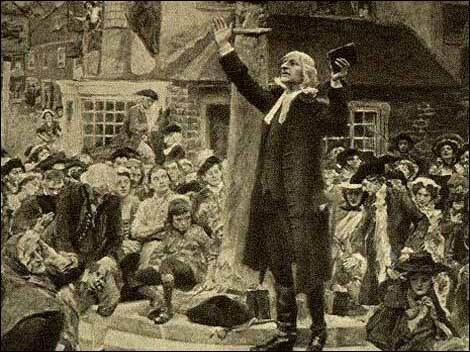 I've decided to read all of John Wesley's sermons, imagining him standing on a stump, exhorting, with me in the audience. 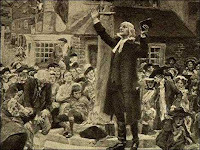 Started with Scriptural Christianity -- the last message delivered at Oxford -- powerful! convicting! You are a great example of what it means to be a godly person who lives a life of love. 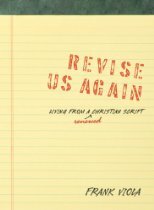 Revise Us Again, by Frank Viola, is one of the most refreshing books I've read in a long time. It's a little volume that packs a big punch. I shared a few nuggets with my staff, and it really blessed them. In each chapter, Viola presents a vibrant, robust faith to counteract the stale and false narratives that Christians tend to assume. 1) Christ is always present. 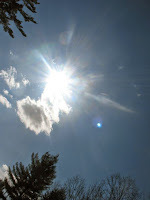 "The light of God is always on. But it looms in the background. Yet, at another level, we can be deliberately conscious of his presence. We can be focused on his presence in the foreground. We can be attentive to it." "Open your mouth and say to him, 'Lord Jesus, I need you.' As soon as you do, you are consciously practicing his presence." 2) The indwelling Christ is the secret to spiritual vitality. It's not just Jesus beside us -- or Jesus as our friend and guide. It's not just asking "What would Jesus do?" Rather, through the Holy Spirit, we can experience the fullness of Christ within! "What is Jesus doing now?" 3) Christ speaks to us through others -- and not just the people we agree with. If we only listen to people we agree with, we won't hear everything Christ has to say to we. Some people have a unique emphasis -- and they go overboard on it. Yet, with biblical discernment, and an open heart, we can learn much from these brothers and sisters, that will enrich our own understanding and faith. 4) Be careful not to be captured by the same spirit you oppose. When we're riled, it's easy to slip into the very same mindset and patterns we're criticizing. For instance, if you're ranting about those who are judgmental, you're being judgmental towards them! Great book -- great food for thought. I highly recommend it. in cocoons a hidden promise: butterflies will soon be free! un-revealed until it's season, something God alone can see. in our doubt there is believing, in our life, eternity. 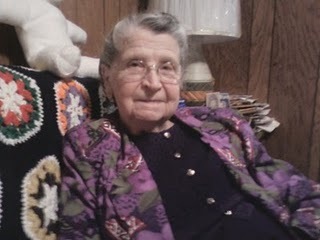 In honor of Mother's Day, my friend, Mark Haines, posted a beautiful tribute to his mother, Maxine. Maxine, who served in the religion department back in my Marion College (IWU) days was a beautiful soul with a heart ablaze for God. 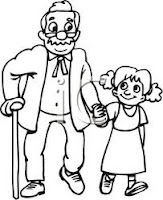 One day a little girl was sitting on her grandpa's knee playing with his long beard and patting his bald head. She asked "Did God make me?" "Yes my dear" her grandpa replied. she then said "well he sure does a better job these days doesn’t he. Personal growth is the secret to organizational growth. Self leadership is a valuable and necessary art. If you can't lead yourself, you won't be able to lead anybody else. If you want things to improve in your business, your family, your church or community, the first thing to start improving is yourself! How can we begin the personal growth journey? 1. Learn something every day. Every experience of life is a learning lab. How sad it is for people to have difficult experiences and fail to learn from them. You can learn from anybody and anything. Keep your thinking cap on at all times. Wisdom is the process of gleaning insight from our daily experiences. Reading is one of the best methods I know for personal growth. If you want to deepen your understanding, read widely and deeply. Don't just read "fluff" - -but find books that challenge you to become a better person. 3. Share new insights with others. As you share what you've been learning, you grasp it better. The best way to learn something is to teach it. 4. Plan for personal growth. If you don't do it intentionally, it won't happen. List the improve-ments you want to make, the books you want to read, the experiences you want to have, and the people you want to meet. Start planning! What are the first steps to accomplish these wishes? 5. Rise above the crowd. If you commit yourself to personal growth, you will have to step out of the crowd. Most folks are content with going through the motions of life -- work, eat, watch t.v., and go to bed. You can't let yourself get sucked into that negative cycle. Others may not understand, but you can't let small people hold you back. Growth is never easy. Someone once said, "You can tell you are on the path to success -- it's uphill all the way!" If you wait until you feel like it, you will never start moving forward. The time is now -- whether you feel like it or not! You have to get up and get going to make a difference. 7. Keep the vision alive. Don't stop growing, regardless of how old you are or what you've accomplished. I once asked a famous author what books he's been reading. He replied, "I don't read books anymore -- I just write them!" He may be a famous author, but the poor gentleman is on his way downhill. After a while, he won't have anything good to write. You have to keep growing always! The architect, Frank Lloyd Wright, at age 83 was asked to select his greatest masterpiece. 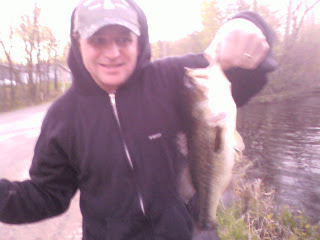 His reply, "My next one!" That's called keeping the vision alive! George Fisher said, "I don't know if you will like this or not, but he who stops being better, stops being good." 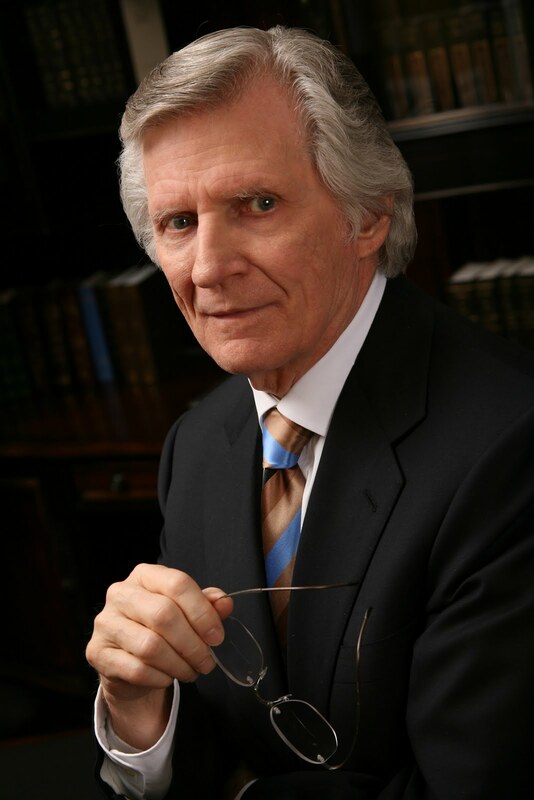 I was saddened by the recent new of the passing of David Wilkerson, in a tragic car accident. 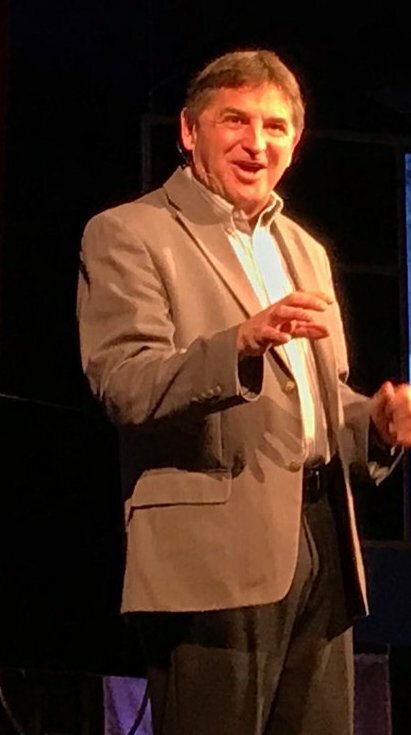 Wilkerson, the founding pastor of Times Square Church, began Teen Challenge a few decades ago, and penned the bestseller, The Cross and The Switchblade. A modern day prophet, he has deeply challenged me over the years, through his prophetic writing and preaching. Before my prayer partner, Judy, died, she often sent articles he had written -- and each one exploded like a grenade in my soul. I have been deeply moved by his convicting words on countless occasions. Sometimes, I thought he was an alarmist -- a bit over the top. But mostly, he was right on target, speaking bold truths that our nation and the American church desperately needed to hear. The world needs more men like David Wilkerson, who stand as watchmen on the wall for our nation. It was a great privilege to attend my son Ryan's graduation ceremonies at Indiana Wesleyan University this past weekend. The commencement was magnificent. The baccalaureate was inspiring (my dear friend, Luis Martinez was the speaker -- and I had the honor of praying with him before the service.) The highlight for me, however, was the consecration service for the ministerial students which was held on Friday afternoon. It was a smaller, more intimate setting, with the religion students and faculty. Dr. Bud Bence, who is retiring after a distinguished academic career, gave a delivered a powerful message. He spoke about how kids like to toss rocks into lakes, for the big splash. Yet, long after the splash is gone, the ripples continue. And ministry is like that. For effective long term ministry, it's better to focus on the ripples rather than the splash.